...and now the Storm King has arrived in 7.0! The King will be rewarding every player that defeats him with a special surprise - more details below. To celebrate the end of Canny Valley Act 3, we created a challenge that would bring a fulfilling end to our narrative arc. This fight will put your building skills, combat readiness, and saved-up collection to the test. Bring three friends (or at the very least, allies) and get ready to take the Storm head on! When you load into the mission you'll find yourself inside a dark cave. From that moment on, it will be up to you to figure out how best to take him down. Defeating the Storm King for the first time will grant you Anthony, the final member of Steel Wool! You'll also get a Legendary Weapon Schematic, RE-PERK and Epic PERK-UP. Once per day, defeating the Storm King (or helping friends do the same) will grant a Miniboss Mission Alert Reward! Upon every completion, you will receive Survivor, Hero or Schematic XP. You will also receive 4 to 5 caches containing a mix of Epic or Legendary Schematics, Perk Materials and Evolution Materials. This isn't our last foray into the lair of the Storm King! Keep an eye out for more information about his future upcoming appearances - both in earlier zones...and later ones! We also recorded 20 minutes of brand new music by Composer Cris Velasco (Darksiders 3, Overwatch) with a live orchestra in LA for this epic fight. You can see a bit more behind the scnes of this in our latest Dev Update. 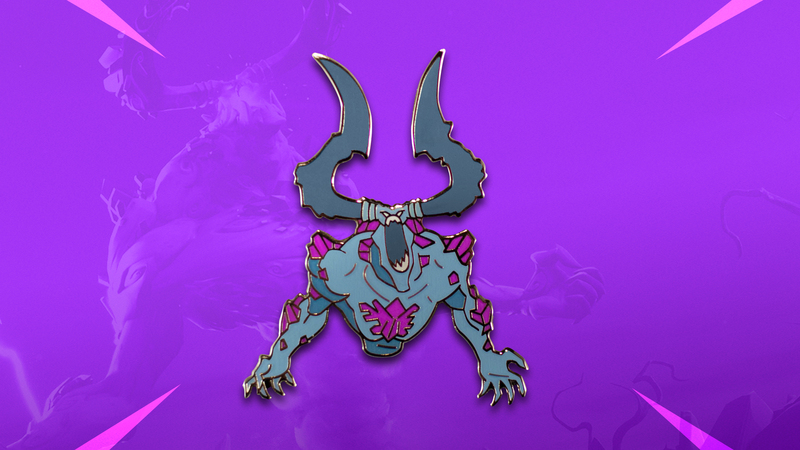 Every player who manages to take down The Storm King by Jan 1, 2019 by 11:59PM ET will earn a limited-time special edition Storm King pin that we will send to you..for free! 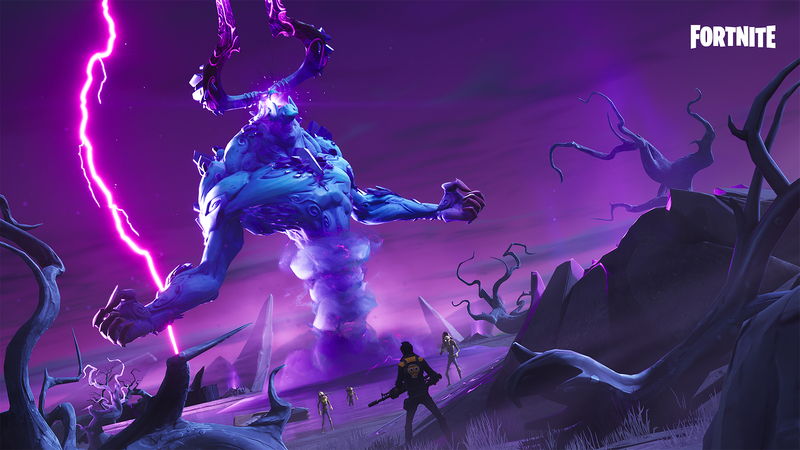 Once you've defeated The Storm King you will receive a notification in-game to check your email for a special code. Follow the instructions in the email and the pin will find its way to you! To be eligible for the pin, you must have a linked Epic Games account with a valid email address. Instructions on how to do that here. All players must have multi-factor authentication enabled. Instructions on how to do that here. All players must have unlocked the “Storm King Pin” quest to be eligible. This quest is obtained after completing the “Stand and Fight” campaign. The email could take a few days to get to you. If you don't get it immediately don't worry, it's coming. 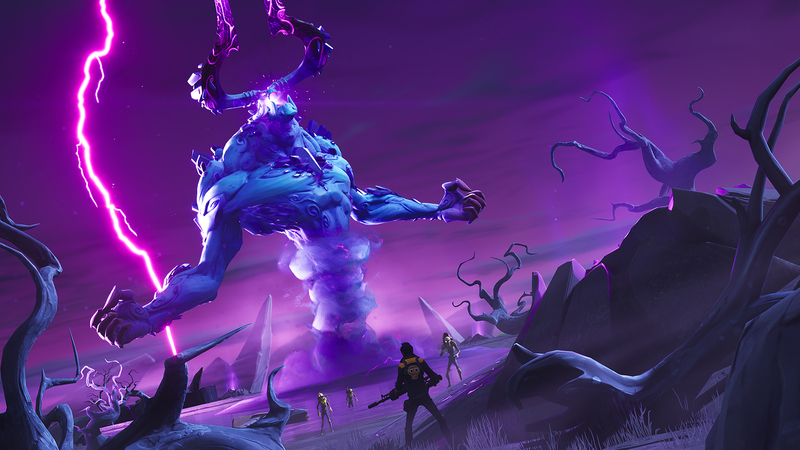 If you've already beaten the Storm King then you are still eligible for the pin and you'll still receive an email with instructions.